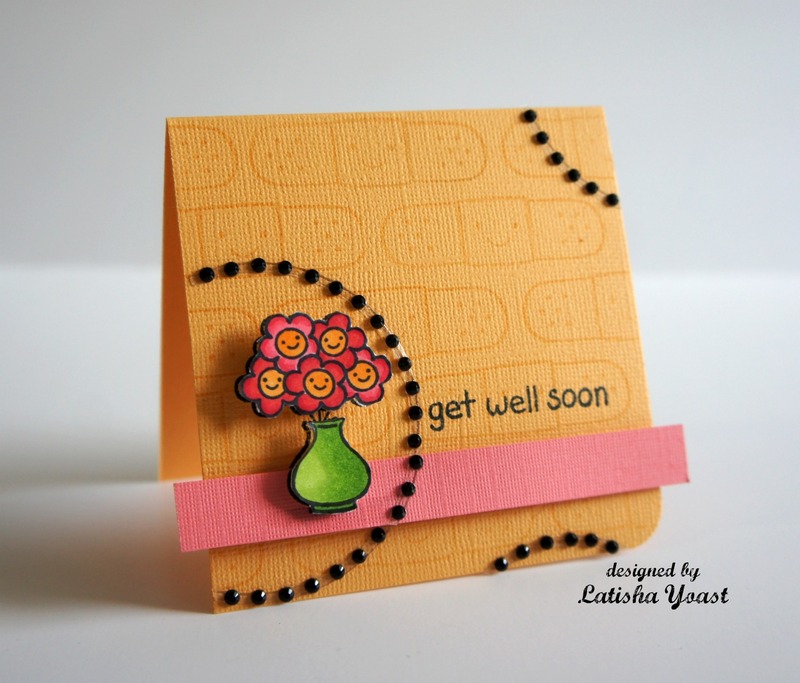 It is inspiration week over at Lawn Fawn, and today the design team is showcasing the On the Mend stamp set. I have to say, the smiley faces on the images in this set kill me...in a good way. You can't help but smile and feel happy just by looking at them. 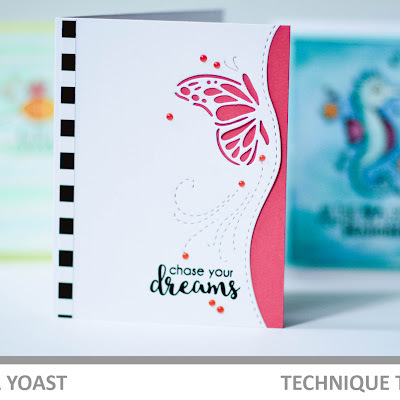 I started out, by stamping the band-aid image onto the card base with Versa mark ink. For those of you, who may not know what Versamark is, it is a pigment watermark ink. I chose to get a cool watermark look, but this ink is also good for using embossing powders. The powder clings nicely to this ink. I stamped the vase of flowers onto white card stock, and colored it in using Copic markers. I fussy cut the flowers out, then set it aside. Before I adhered the pink card stock down, I rounded one of the bottom corner. Then with foam tape, adhered the vase of flowers into place. Next was stamping the sentiment, and I finished the card off by adding a Want2Scrap black circle rhinestones. Instead of using the circle as a whole, I cut it up to give the card a fun feel. For more inspiration with the On the Mend set visit the Lawn Fawn blog, and the rest of the designers. What a cute card!! I love the bandaid stamped background...such a great touch!! those gem circles are awesome and I LOVE the band-aid background! VERY CUTE! bling and band-aids...such a cute idea. Just makes me smile TONS! This card is so sweet. Those little smiling flowers make me happy and I love the subtle bandaid background. I always marvel at the simplicity of your designs, but this creation is especially sweet. Adorable card. Love the little pop of green from the vase. A very happy card! Would make anyone not feeling good, feel better. Thanks for sharing. 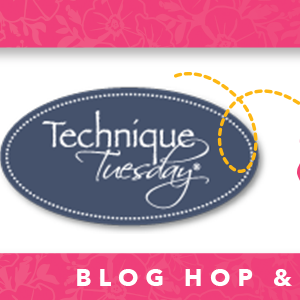 Seasons Giving Blog Hop Year 7! SSD sketch 82, and I'm home from Greece!